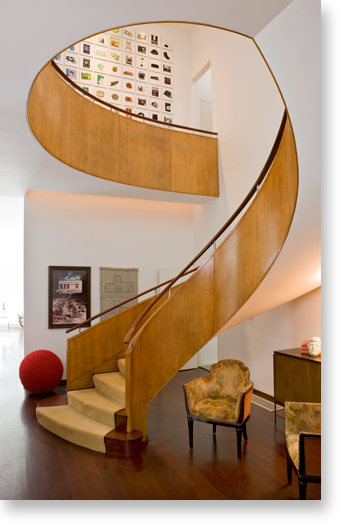 A new take on traditional Modernism in a 1939 Modernist house for Philadelphia art collectors. Four separate additions enlarged the master suite and dining room while converting the original attached garage and scullery into a new kitchen and family gathering space. Wherever possible, original material was preserved and restored and furnishings selected to reflect not only the modernist spirit of the house but the eclecticism of the clients’ collecting interests.